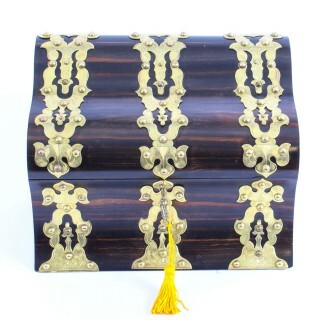 This is a lovely antique Victorian Gothic Revival gilt brass strapwork mounted Coromandel stationery box, circa 1870 in date. 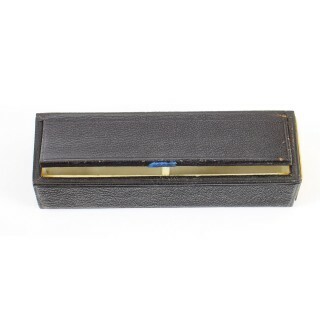 This delightful antique writing slope has a hinged serpentine lid which opens to reveal a fitted interior with stepped divisions and its original navy blue silked lined interior. 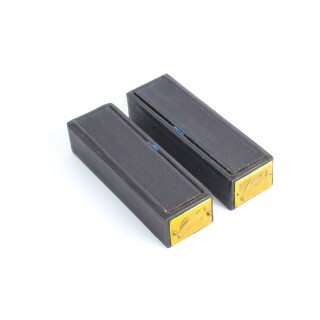 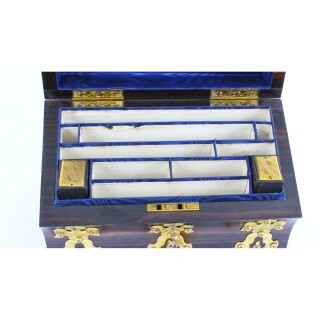 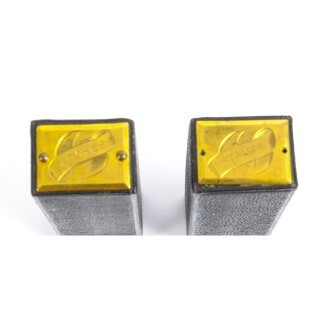 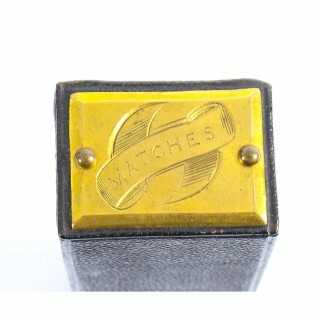 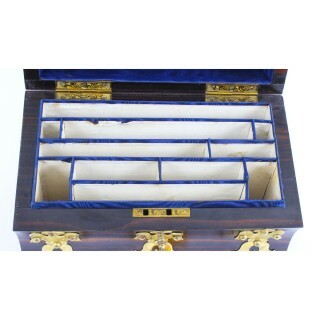 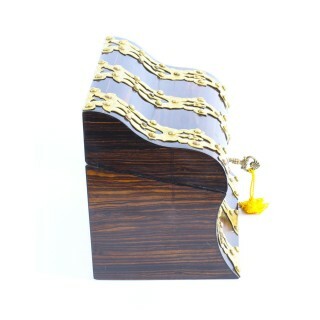 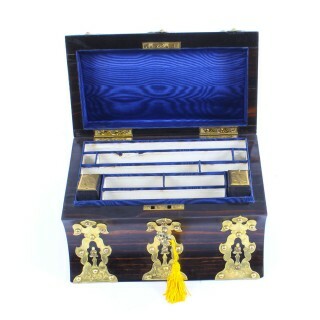 The box has exquisite cut card and engraved brass strapwork, hinges and lock. 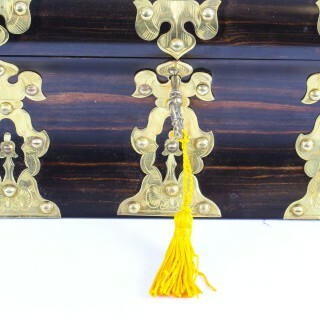 The stationery box has a fully working lock and it comes with its original key that has been fitted with a decorative golden tassel. 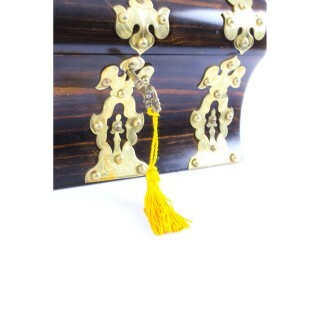 This is a highly decorative piece which will make a statement once placed on any period desk. 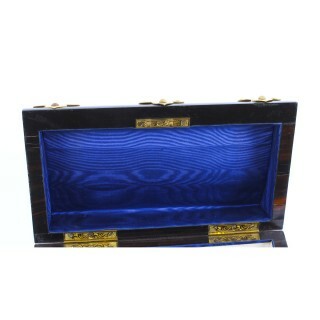 is a valuable wood from India, Sri Lanka and South East Asia. 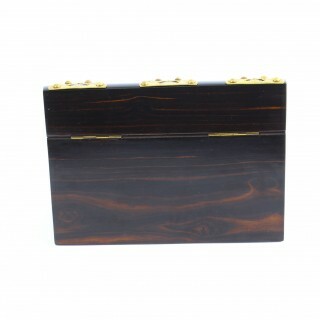 It is of a hazel-brown color, with black stripes (or the other way about), very heavy and hard. 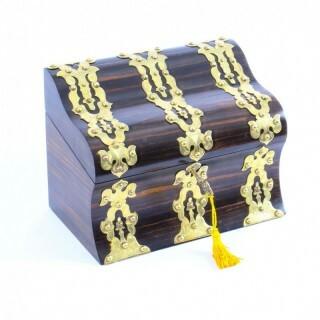 It is also known as Macassar Ebony or variegated ebony and is closely related to genuine ebony, but is obtained from different species in the same genus; one of these is Diospyros quaesita Thwaites, from Sri Lanka. 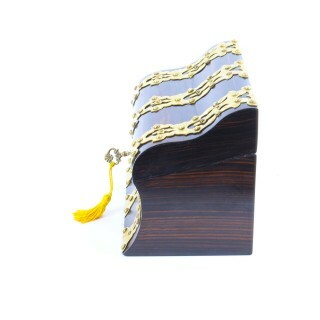 The name Calamander comes from the local sinhalese name, ‘kalu-medhiriya’, which means dark chamber; referring to the characteristic ebony black wood.